It’s your chance to take part in CAUSINDY 2015! For the first time, we’re opening this year’s conference up to live audiences in three cities. Going Back to the Beginning is all about the links between indigenous Australia and Indonesia, bringing together three experts to present — and answer questions — on the origins of the bilateral relationship. AIYA chapters will be showing the panel live from Darwin in Sydney, Melbourne and Brisbane from 3pm on Saturday, the 19th of September. Audiences will be able to share questions and comments with the delegates and panel on #causindy. 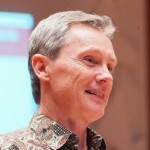 Paul Thomas is Coordinator of Indonesian Studies and lecturer in Translation Studies in the School of Languages, Literatures, Cultures and Linguistics at Monash University, Victoria. His initial interest in Indonesia began as a participant on the Australian Indonesian Youth Exchange Program (AIYEP) after which he majored in Indonesian and Italian in his undergraduate degree. Upon graduating, Paul moved to Southeast Asia teaching in Bandung, Indonesia and Singapore where he also worked as a freelance translator. On returning to Australia, he took up tertiary teaching positions in South Australia and then Victoria while completing a Masters in Applied Linguistics at the University of Melbourne. 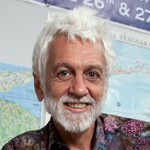 Paul’s PhD was in the field of translation history and explored the history of communication between Australia and the Indonesian archipelago from the pre-European period through to the Cold War. Paul is currently researching the history of the English language press in Indonesia and is completing an edited volume on the history of the Indonesian-Malay language in Australia entitled Talking North: History, Literacy and Policy in Australia’s First Asian Language due for publication later this year. Dr Steven Farram is Lecturer in North Australian and Regional Studies (History) at Charles Darwin University in Darwin. His research interests include the history of northern Australia and Southeast Asia, particularly Indonesia and Timor-Leste. He has published extensively in these areas and is also a regular contributor of book and exhibition reviews to various journals. Steven is an active member of the history community through organisations such as the Professional Historians Association (NT) and the Historical Society of the Northern Territory. He is a regular participant at international and local conferences and has been coordinator of the Annual History Colloquium held in Darwin for several years. Julia Martínez is an Associate Professor of History and Australian Research Council Future Fellow at University of Wollongong, NSW. 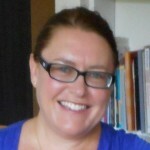 Her interests include Australian and Asian history and in particular the connections between Darwin, Broome, north Queensland and Asia. She publishes on Indigenous and Asian labour history and on Chinese diaspora in Australia and Southeast Asia. Her ARC-funded projects include a history on the migration and ‘traffic’ in women in Australia and Southeast Asia and a study of colonial domestic service with Claire Lowrie, Victoria Haskins, & Frances Steel. In 2013 she co-edited with Professor Adrian Vickers a special edition of the SOAS journal Indonesia and the Malay World on histories of overseas Indonesians. Her book, with Adrian Vickers, is The Pearl Frontier: Indonesian labor and Indigenous encounters in Australia’s Northern Trading Network (University of Hawai’i Press, 2015).